Hotels Venice Centre, sleeping in the heart of the city. Wandering around in Venice and visiting beautiful museums. And where do you sleep these (three) nights? In the center of Venice there a lot of hotels. All close to the action from St. Mark 's Square, the busy little Venice. Not that much happens there, but it is beautiful with architecture and art. And please know, also in this area of Venice are locations where you can relax with a cocktail after a day of full excitement. ﻿Hotel Morettino: € 140 - 200. They present themselves as a B & B but actually it is a hotel. The location is excellent and it is surrounded by shops and restaurants; yet in the night it keeps quiet. The room is clean with a modern bathroom. A 24-hour self-service kitchen, a spacious dining room with hot and cold drinks and snacks. Giovanni, the host is very friendly and helpful. Hotel Lisbona: € 90 - 200. Located in the shopping area with the expensive brands. And you're in quick reach of the St. Mark’s Square. It has small rooms and mostly after check-inn you have to carry your suitcases upstairs by yourself. I had a room on the canal side with the pleasure of singing gondoliers. They are always happy! Staff is friendly and they serve a simple breakfast. Perfect to sleep in an ideal location! Hotel Villa Igea: € 200 - 290. On a quiet square in the center of Venice "Campo San Zaccaria”. Beautiful place, just off San Marco! To get there is to get off at vaporetto station 'S. Zaccaria’. 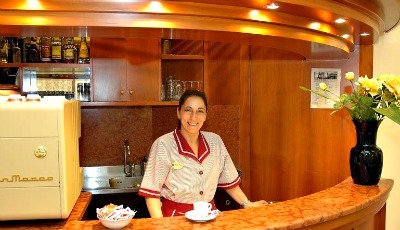 The reception staff (Alberto and Leonardo) are friendly and helpful and speak English. They took the initiative to arrange transportation and tours for us. Being a sister location of the bigger Savoia & Jolanda hotel the entrance is a quite hard to find. The breakfast is rich and delicious. Our room had a beautiful view on the San Zaccaria square. Hotel Da Bruno: € 175 - 225. 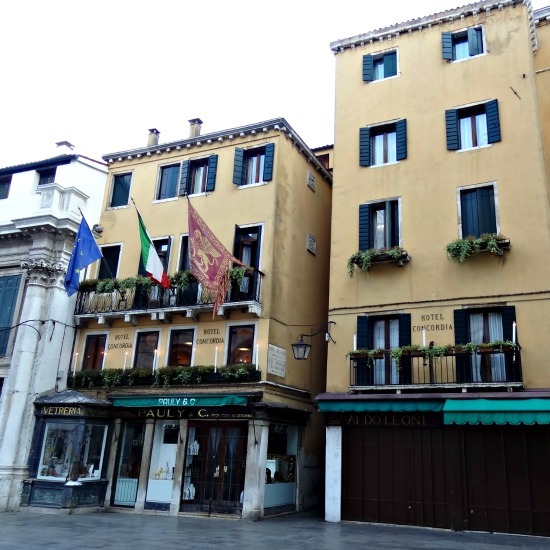 Fantastic location, near the Rialto Bridge and St. Mark's Square. Friendly English speaking staff of a three-generation family. Great breakfast buffet. And near an ice cream shop surrounded with many shops and restaurants. Great hotel. Hotel Concordia: € 190 - 550. Right on the St. Mark’s Square. Location above all! And if you book the right room, then you will have a view on the St. Mark's Square... (fares go up when you will have a room with a view). 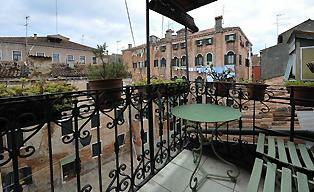 Book or make a reservation soon of your Hotel in Venice Center! 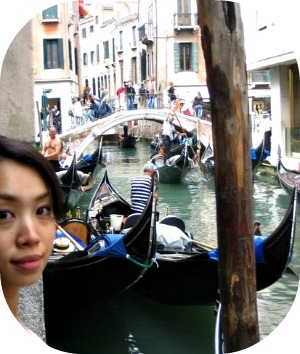 You've read about Hotels in Venice Centre. There is plenty to explore. Read my site on Venice and get more information about this beautiful Italian city.